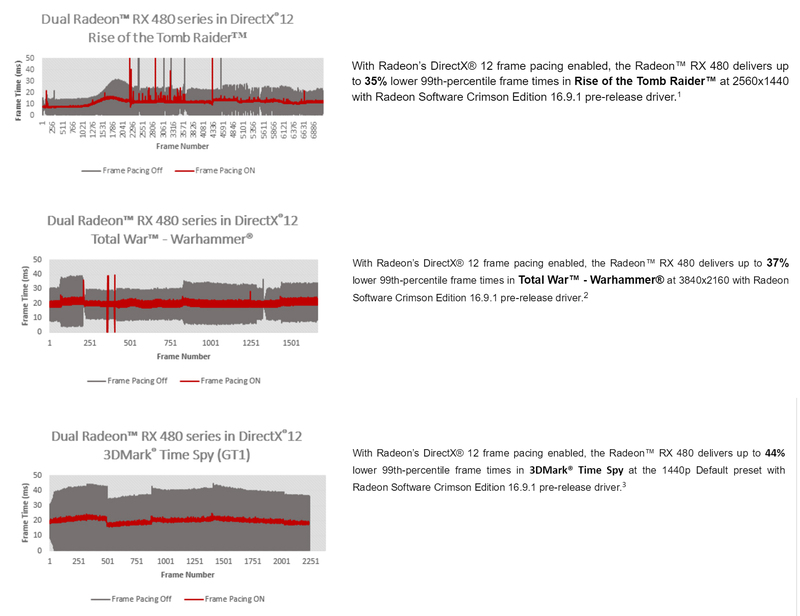 Adding to Radeon Software Crimson Edition’s enhancements for DirectX 9, DirectX 10, and DirectX 11, Radeon Software 16.9.1 enables multi-GPU frame pacing support to DirectX12 on all GCN-enabled GPUs and AMD A8 APUs or higher with GCN. A number of games currently take advantage of frame pacing in DirectX 12. Total War – Warhammer, Rise of the Tomb Raider™ and the 3DMark Time Spy benchmark also show smoother run-throughs.